It's true. We probably all know that preventing disease is easier than treating it but do we understand how to prevent illness before it even starts? Below are my Simple Six. These are six things that I employ when caring for my own dogs. I believe that without a doubt, these six methods have been key in keeping my dogs alive and well into their mid and late teens. Tap water can contain chemicals such as lead and arsenic. Both of these things can cause symptoms such as seizures, anxiety or cancer. I advise using a good-quality water purifier to filter your tap water. It can be well worth the investment over time. Clean water can flush toxins from the body and since the body is about 60% water, it seems like a much needed step. Avoid contaminated water which can come from street puddles. These puddles may contain toxins such as hydrocarbons or gasoline for example. We are what we eat. Simple. Dogs need fresh foods much like ourselves. A variety of fresh foods, with a fresh meat base is absolutely needed to flourish. Choose healthy food additions that come from humane farming practices and organic foods with no chemical applications. Feeding your dog a healthy diet free from artificial preservatives, artificial flavors, and dyes is as important to them as it is to us! If you decide to use a home prepared diet, be sure that the diet is balanced over time. Do not skimp on ingredients to avoid the extra expense. For example, a raw diet consisting of only meat and nothing else will, over time, create severe and even fatal imbalances. If in doubt, consult with a knowledgeable professional to be sure you are doing the best nutritionally for your dog. A healthy, balanced diet supports your dog's natural defenses against cancer and should be considered your foundation to proper health. Research shows that canine fitness not only strengthens immunity to chronic disease but is also essential for optimal health and well-being. Fresh air, contact with the earth and warmth from the sun can provide a feeling of balance and wellness. Exercise increases blood circulation and as a result, tissues become oxygenated, which helps to clean the cells of toxins. Digestive glands secrete their fluids better, and the bowels move more easily, as you will notice. Because of this, remember to provide lots of fresh water for flushing toxins as mentioned above. By exercising your dog 20 minutes per day, not only will it provide physical and mental stimulation, it will also create bonding. The more bonded a dog becomes the easier it can be to train! 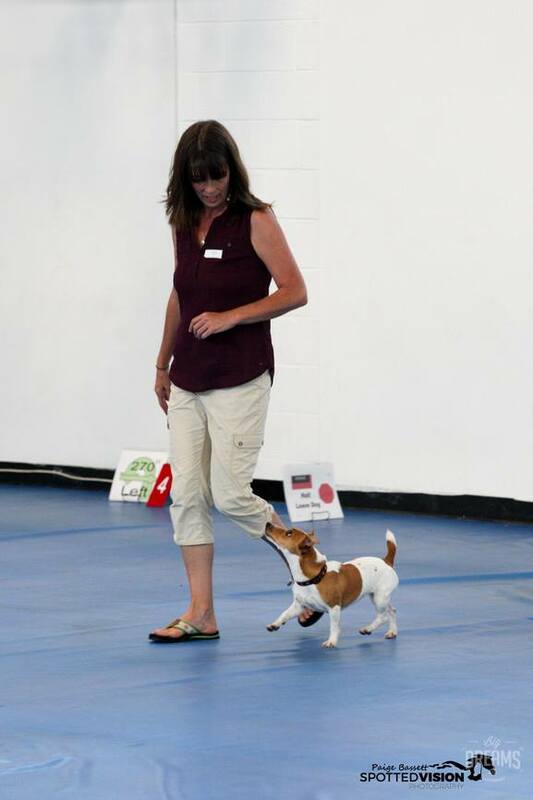 Be sure to choose the type of exercise based on your individual dog's conformation and structure. Not all dogs are built to retrieve a ball at top speeds for an hour so be careful what you use for exercise. You can exercise a dog without having to run. Obese dogs are prone not only to cancer but heart ailments, joint problems, diabetes, and/or breathing difficulties which can be expensive to treat and cause undue suffering. Ask your vet what a healthy weight for your dog should be. As mentioned above, feed your dog a healthy diet free from artificial preservatives, artificial flavors, and dyes. Pollution can be passive (like second hand cigarette smoke or automobile exhaust fumes) or active (like applied chemical flea, tick and heartworm preventions). Things that can help reduce pollution can be keeping your house well ventilated, grow safe houseplants that help filter the air and using non toxic household cleaners. Instead of chemical insecticides, use natural methods of flea and tick control such as herbal shampoos, sprays and supplements. Simply vacuuming frequently and combing your pet with a flea comb can disrupt the life-cycle of these pests. Using drying products like diatomaceous earth in the home (brushed into carpets and flooring cracks) can help reduce the flea population over time. A natural parasite program requires diligence for it to be effective but the benefits to your dog's health far outweigh the time spent. Stress is emotional imbalance caused by things like anger, frustration or illness. These emotions can overwork the liver and immune system. Stress can actually lower the white blood cells in a body and these are the immune cells that help prevent and attack disease. High anxiety in pets happens for a variety of reasons: neglect, a multiple animal household, an illness or even just having visitors. Whatever triggers stress in your dog, tune in and try to help your dog relax. Simply allowing your dog to escape to an area of it's own is helpful and appreciated by most dogs. Perhaps a room or even a crate located in a quiet place is what your dog needs. Things that will help with daily stress are: feeding and playing on a regular schedule, massaging your dog, work at keeping peace between dogs and provide loving care. There are also many products to help provide "Doggie Zen" like flower essences, herbal products, amino acids and pheromone devices. Remember dogs are similar to us in many ways (healthy food, water and exercise) and yet unique in other ways (social structure, habits and behaviors). If you do your best to try and achieve these Simple Six, I am sure your dog's vitality and longevity will amaze you.